Plenty of rich and famous people use health spas and saunas on a regular basis. Saunas full of steamy goodness are good for all of us. The benefits are positive concerning health and beauty. If you would like to sport a healthy glow and have clean, younger looking skin, then frequent visits to the sauna will help you regain your youthful looks. Although sales people may try and sell you a sauna based on a lot of hype, it is not all entirely false. Saunas do come with a lot of advantages and health benefits as well as comfort. They have been used in the medical industry for centuries, well before their stress relieving qualities and beautification tributes were realized. Detoxification: This is one of the most important health benefits of a sauna. Saunas raise the body’s temperature a lot higher, which assists in helping the body to kill fungi, viruses, parasites, and bacteria that may be found in your system. The longer you sit in a steamy sauna, the more sweat your body excretes. When you excrete sweat, your pores open wide and release those toxins from your tissues. The more you sweat, the greater amounts of dangerous poisons are released from your body. According to Dr. Lawrence’s book Sauna Therapy, the temperature increases activity within the body as it strives to retain normal temperature. This activity helps to detoxify the body within bones, sinuses, and teeth. Therefore, the liver and kidney functions are improved. Overall, blood circulation is improved which also makes you feel invigorated. Immune System: Saunas help the immune system in that it raises the body’s temperature, causing a lot of activity within the immune system, resulting in an increase of production in white blood cells that fight germs and diseases. The more your body sweats, the more your immune system has to work. The harder your immune system works, the better you feel. In the long run, it helps you fight off illness by keeping your immune system in top shape. Now you know how to get rid of blackheads too! Better Skin: While usual showers clean off the dirt of your skin, saunas can clean deep within the pores. After just a short session, you will feel that your skin is rejuvenated and feeling a lot cleaner. An increase in sweat opens up the pores allowing for dirt to be easily cleansed. For a better result, combine the sauna with a brush or skin brush to aid in scrubbing away dead skin cells, which can cause clogged pores. 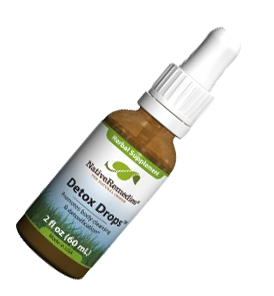 CLICK THE BOTTLE FOR MORE INFORMATION ON DETOX DROPS! 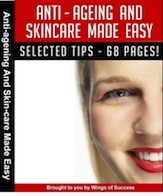 Sign up to our once a week news letter and gain home remedy and natural genuine health ebooks such as this one emailed to your email weekly scot-free!. 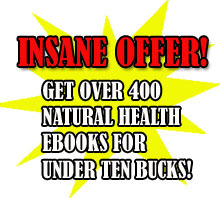 In the event that you order my specific book, “The Big Book of Home Remedies” you are going to additionally get instant access for the private members space which allows you to pick up any one of our 400 and more natural health and wellness pdfs totally free. Andrew Ellis From www.steamshowersupply.co.uk online fitness and health super site.